The Title "Export-Import Finance and Documentary Credits (L/C) Packing Credit; Post Shipment Credit; UCP 600, eUCP, URC 522; Docdex Rules, Swift; Forfaiting; L/Cs i.e. Documentary Credits; Special Treatise on Import Finance; Format of Standard Documentary Credit; Glossary on Documentary Credit 15th Revised, Enlarged & Updated Edition" is written by Paras Ram. This book was published in the year 2007. The book displayed here is a 15th Revised, Enlarged & Updated Edition edition. This book has total of pp. lxxii + 939 (Pages). The publisher of this title is Anupam Publishers. We have about 16 other great books from this publisher. Export-Import Finance and Documentary Credits (L/C) Packing Credit; Post Shipment Credit; UCP 600, eUCP, URC 522; Docdex Rules, Swift; Forfaiting; L/Cs i.e. 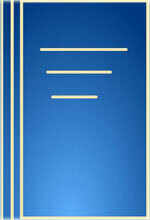 Documentary Credits; Special Treatise on Import Finance; Format of Standard Documentary Credit; Glossary on Documentary Credit 15th Revised, Enlarged & Updated Edition is currently Available with us.